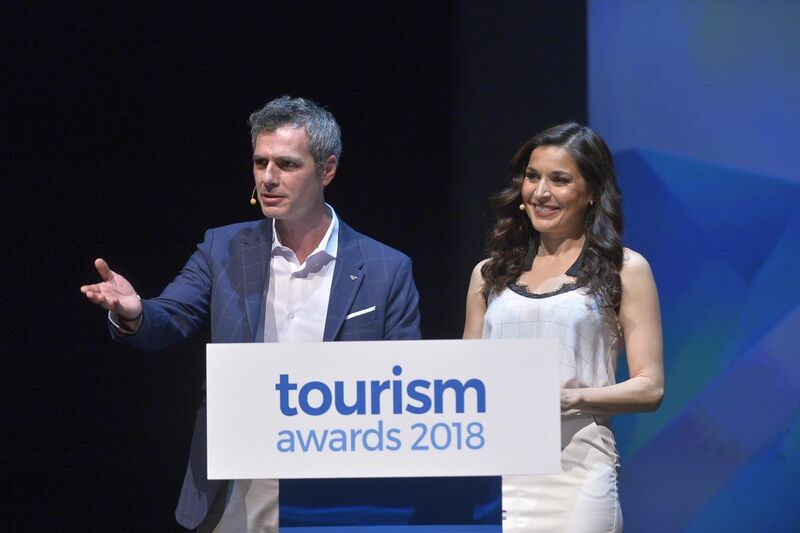 Tourism Awards 2018 hosts: Valeria Kouroupi and Marios Athanassiou. 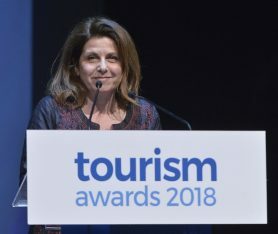 The best practices and most innovative initiatives of Greek companies and organizations in the sectors of travel, hospitality and leisure, were rewarded at the Tourism Awards 2018 ceremony that took place on Tuesday at the Hellenic World Cultural Center in Athens. 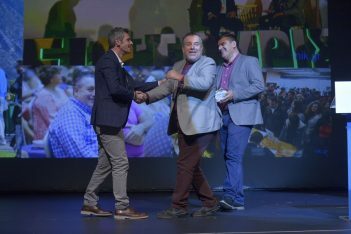 Some 700 executives and Greek tourism figures attended the awards ceremony that were hosted this year by Greek presenters Valeria Kouroupi and Marios Athanassiou. 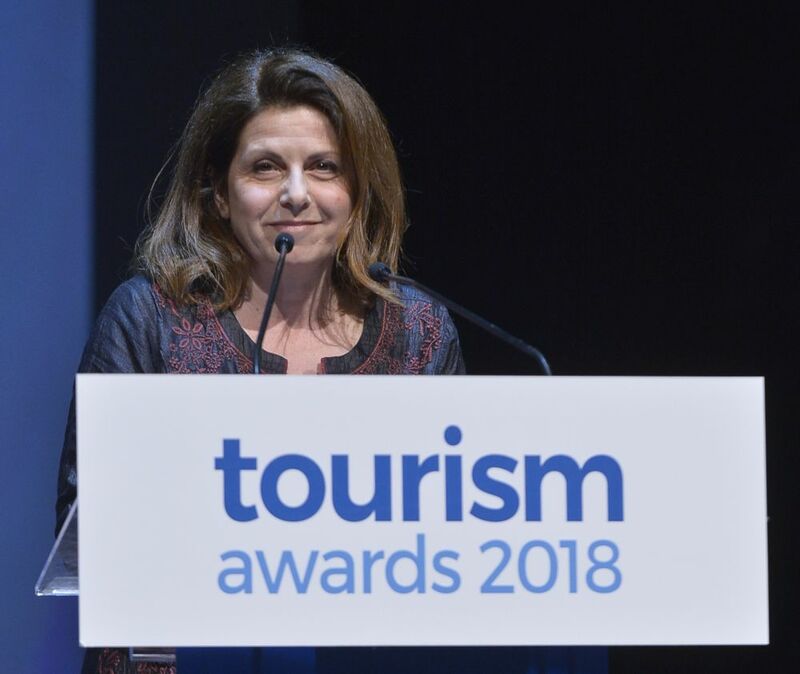 According to organizers Boussias Communications and Hotel & Restaurant magazine, this year’s awards once again prove that Greek tourism is showing innovation on many levels. Maya Tsoclis, president of the judging committee, Greek travel journalist. 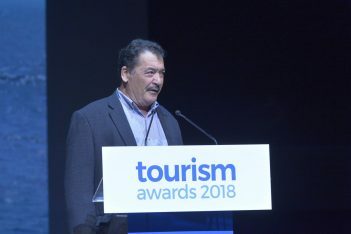 “At a time when the quality development of tourism is Greece’s national goal, the companies awarded at this year’s Tourism Awards are valuable examples of innovative services, enriching the tourist product and extending the tourist season,”the organizers said. Tourism Ministry Secretary General Evridiki Kourneta. Greek National Tourism Organization President Charalambos Karimalis. All applications were evaluated by a 30-member judging committee chaired by Greek travel journalist Maya Tsoclis. Among the members of the judging committee were academics, subject-matter experts and eminent personalities with experience in the hospitality sector. 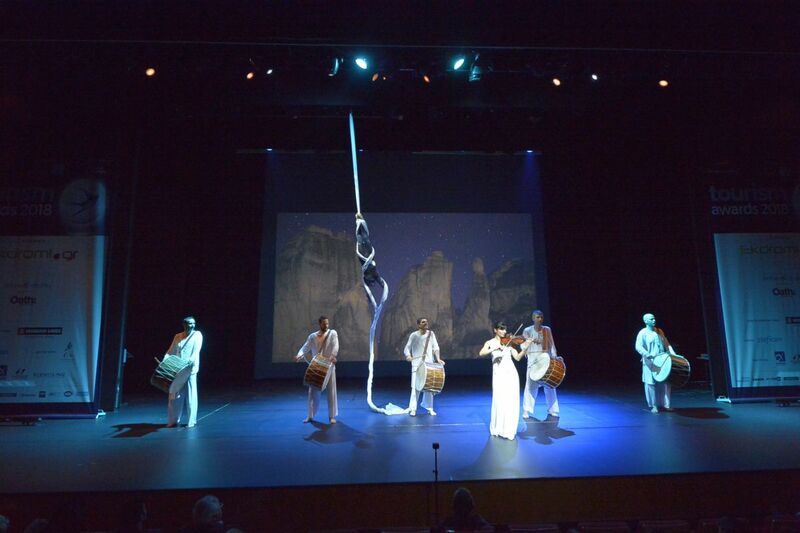 The ceremony also included an impressive music and aerial dance show by Artwork Productions, under the artistic supervision of Petros Kourtis, renowned from his participation in the Athens 2004 Olympic Games opening ceremony. 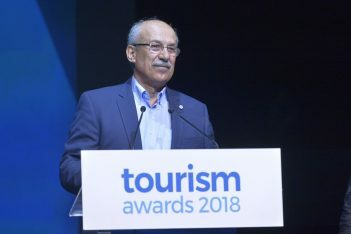 Honorary awards were given to individuals and institutions for their contribution to the promotion and development of the Greek tourism industry. Konstantinos Andrianopoulos and Andreas Zagakos. 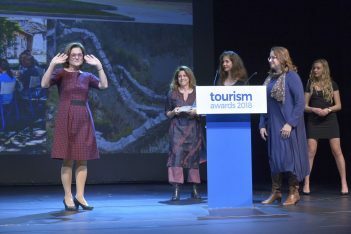 This year, honorary awards were given to Konstantinos Andrianopoulos and Andreas Zagakos, co-founders of the Kalamata School of Tourism; to Dimitra Kokkevi-Fotiou, the world’s only deaf archaeologist who guides tours in Greek, international and American sign language; to Captain Yiannis Skopelitis for contributing to tourism through his “Express Skopelitis” ferry on the Small Cyclades islands line; and to Thoukididis Papageorgiou, owner of the Thoukididis Guest House in Zagori! for his contribution to agrotourism. To see the whole list of winners of the Tourism Awards 2018, press here. The Tourism Awards were held under the auspices of the Greek Tourism Ministry and the GNTO. GTP was among the main communication sponsors of the event.